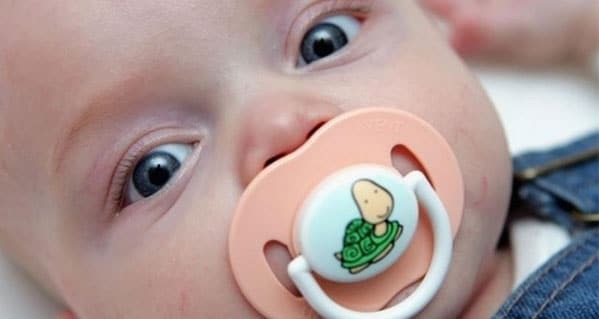 The Texas Department of State Health Services and the US FDA have been warning parents and other adults not to give babies pacifiers [dummies] containing honey after four babies were treated for botulism in Texas. Honey can contain spores of Clostridium botulinum, an organism that produces a potent neurotoxin known to cause severe illness in infants. Infant botulism occurs when C botulinum spores in food, dust, or other materials are inhaled or ingested and germinate in the gut of infants who have not yet developed mature intestinal flora. For this reason, parents are advised not to feed honey (raw or otherwise) to children younger than 12 months old. Infant botulism: Symptoms of botulism in infants under 12 months of age typically start with constipation and may include poor feeding and/or weak sucking, weakness, drooping eyelids, loss of head control and difficulty breathing. Severity can range from mild illness with gradual onset to paralysis, respiratory failure, and death. Prompt recognition of a suspect case, administration of antitoxin, and initiation of supportive care can halt progression of the disease. Recommendations: Infants (children less than 12 months of age) should not be given honey, or pacifiers containing honey or other food products, because of the risk of contracting infant botulism. Consumption of honey is widely recognised as a risk factor for infant botulism by healthcare and public health professionals.